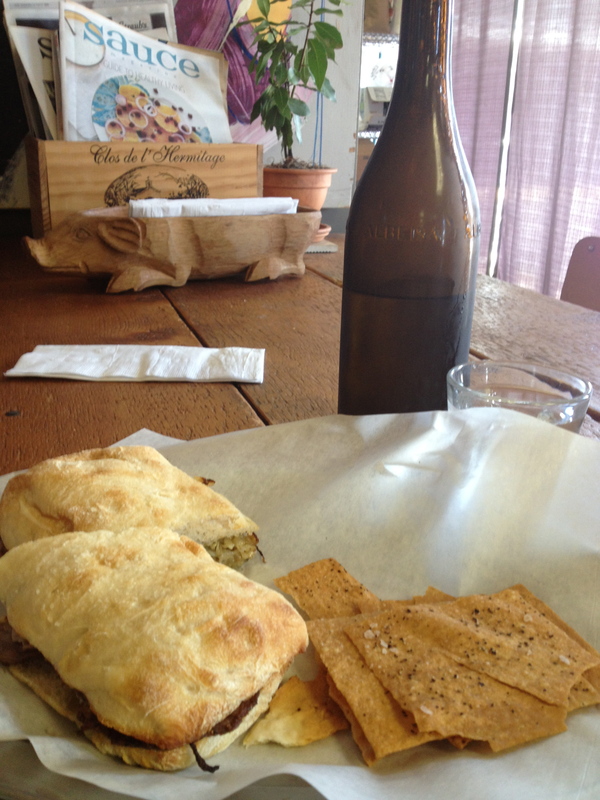 Small, hipster-esque deli in an unassuming strip mall. Don’t be fooled by the fact that this place looks unoccupied; it’s open and it’s outstanding. Seems like a place most people take their purchases to go since it’s a tiny little joint with a couple of tables. Be ready to open your wallet, because good meat comes at a price. This small artisan company specializes in Italian and European cured meats and sausages using fresh, local and natural ingredients. 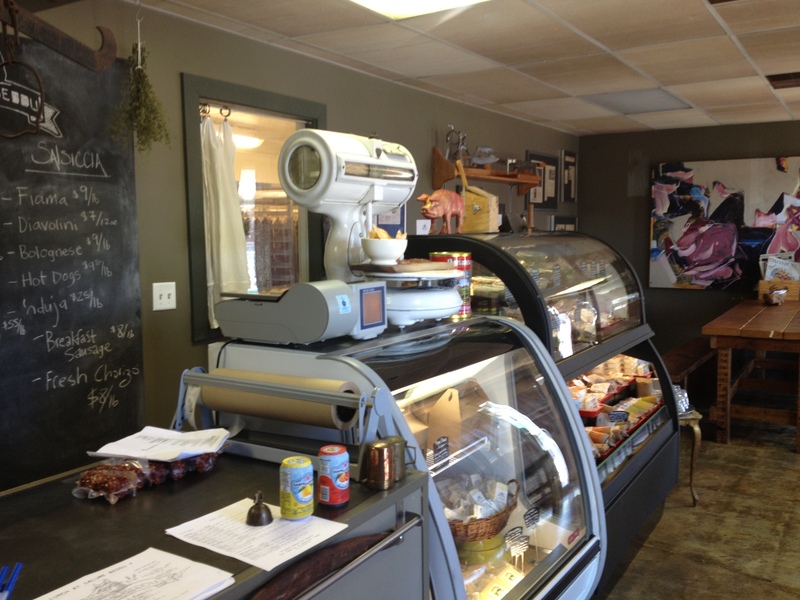 You can stop in and grab a hunk of packaged meat or order a sandwich from the limited menu. Salume has such a great thing going that local grocer, Schnucks, has decided to get in on the cured meat action. Grab a bag of homemade crackers, a link of salami, olives, and other antipasti options to impress your friends at a dinner party or picnic. Amazing! The bread alone is flaky and wonderful! The sandwich ratio leans towards bready, but it’s somehow ok. 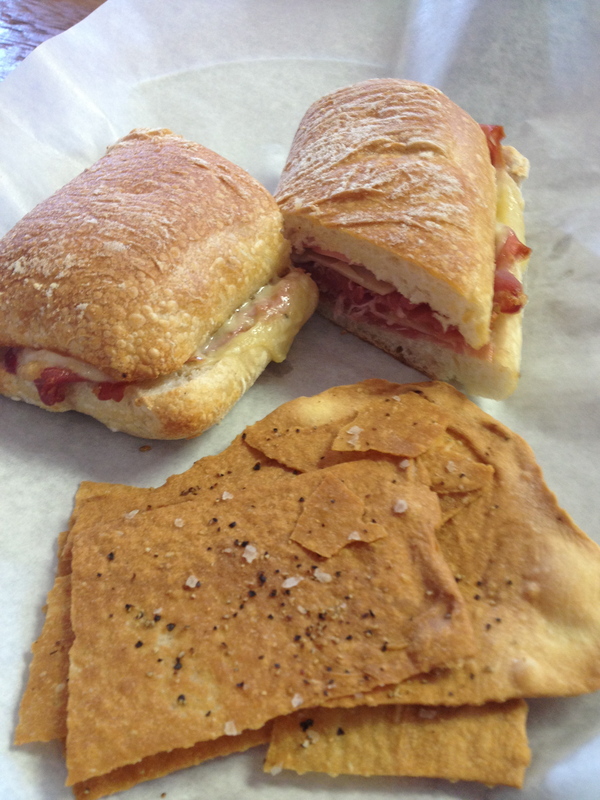 The gooey gruyere cheese and tangy pickled onions compliment the salty prosciutto well. The homemade crackers are pretty spicy with all that cracked pepper, but boy are they addictive. 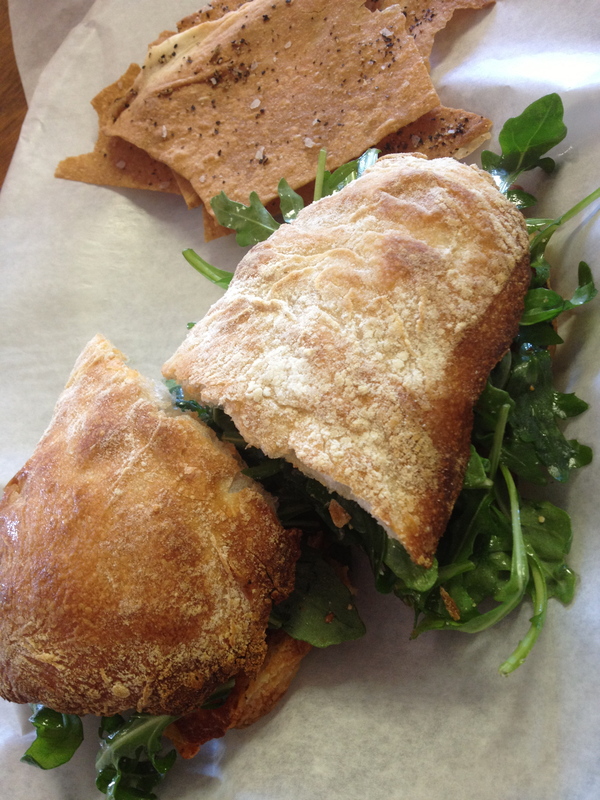 Fabulous – The crunchy bread and fantastic fixings made my taste buds dance for joy. I can’t imagine anyone not being happy after they devour one of these. They don’t last forever so make sure you savor each bite. Praise the lard! That’s a good one. This place sounds delicious.